ZTrip, a new “hybrid” taxi company, is entering the Omaha and Lincoln markets with its purchase of Happy Cab and its subsidiaries. Imagine being able to get the convenience of an Uber with the regulation of a cab company. That’s what the state’s newest transportation provider is hoping to offer. Bill George, the CEO of Yellow Cab in Kansas City, Missouri, is in the process of buying Omaha’s Happy Cab and its subsidiary companies. George said he plans to rebrand the cab companies as zTrip, which offers a “hybrid” service where people can book through an app but which retains many of the features of cab companies. 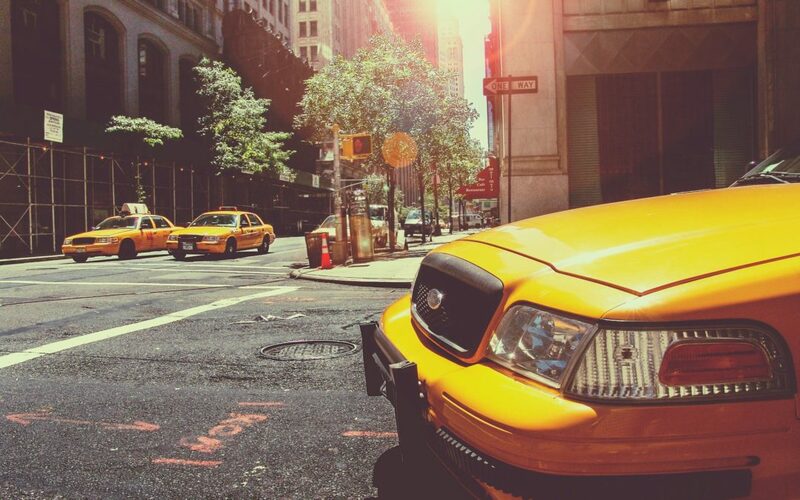 “It’s the perfect hybrid between a taxicab and what’s known as a TNC (transportation network company),” George said. Like ride-hailing services such as Uber and Lyft, zTrip offers an app through which customers can book a trip, either immediately or at a later time. But people also can request a car over the phone through a dispatch service. Also, unlike Uber and Lyft, which require people to pay through the app and which have different prices at different times, zTrip also allows people to pay by credit card, with cash or through direct billing — and has set rates that don’t increase when demand is high. Though zTrip in some cities is regulated like Uber and Lyft, in Nebraska it will be regulated like a cab company, George said. That means drivers will have to undergo physicals and background checks, and they will operate company cars that have to pass state inspections, rather than using their own personal vehicles. Customers can use an app to book zTrip rides. ZTrip is owned by a French company called Transdev. George said Transdev bought Kansas City’s Yellow Cab from George in 2007 and later made him president of all its taxi operations. It was shortly after that when zTrip was developed, and the company has been steadily expanding across the U.S. According to its website, it now operates in more than a dozen cities, as well as operating at 70 airports. Among the cities where it operates, in addition to Kansas City, are Colorado Springs, Denver and Minneapolis. George said he is working on additional acquisitions in other cities. As for Happy Cab, George said he plans to buy 55 new vehicles for use in Omaha and Lincoln, including 15 that are wheelchair-accessible. Most of those will be replacements for the existing fleet, although some will be additions, he said. George, who has been involved with Yellow Cab in Kansas City since 1985, said he looked at getting into the Omaha and Lincoln markets because he was familiar with them and because he sees a tremendous potential for growth. A report released last year by the Nebraska Public Service Commission showed cab rides in Lincoln had dropped by nearly 90 percent from the fourth quarter of 2010 to the second quarter of 2016 while growing both in Omaha and the rest of the state. George on Tuesday received temporary approval from the PSC to take over the operating licenses of Happy Cab and its subsidiaries, which include Cornhusker Cab, Checker Cab and Yellow Cab. He said he still needs PSC approval to transfer ownership of the businesses themselves, which he expects to get within the next 30 days. Once that happens, he said there will be an official rollout of the zTrip service in Lincoln and Omaha. He said Happy Cab’s local management, including director of operations John Davis, will be staying on. “We’re very excited about it,” George said. Reach the writer at 402-473-2647 or molberding@journalstar.com.